It is a good idea to buy stocks for the long term. Long term investment in stock market always pays a higher return.Even stock gurus like Warren buffet and Rakesh Jhunjhunwala also advice to make investment for long term. 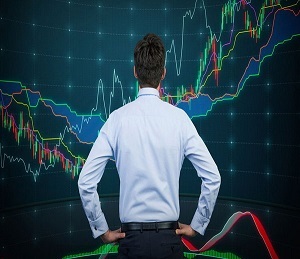 However, it is not an easy task to identify best stocks for the long term investment. You need to carry out extensive research and evaluate various parameters of stock such as earning growth, past performance, dividend, market cap, future earning potential etc. In order to simplify your job, I have done analysis and identified 10 Best Stocks to buy for the long term. These stocks are selected based on multiple factors such as past performance, future earning potential etc. So, here is 10 Best Stocks you can buy for the long term. The first best stock identified for the long term investment is Eicher Motors. Eicher Motors is one of the best company in the automotive sector of India. Eicher motors is in multiple businesses such as commercial vehicle, motorbike etc. Royal Enfield motorcycle (bullet) is one of the most popular product of Eicher Motors. This stock is consistent performing stock. Did you buy stock of Eicher Motors in 2011? If yes, you would have made very good returns. 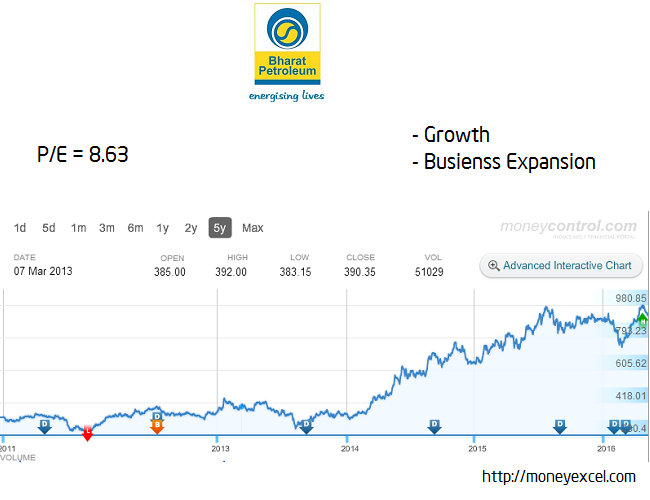 This stock is a consistent performer since past few years. The stock price of Eicher Motors surged 1428% since 2011. This stock was available at Rs. 1315 in 2011 and today it is trading at Rs 20105. CAGR of this stock in last five years is 72.5%. 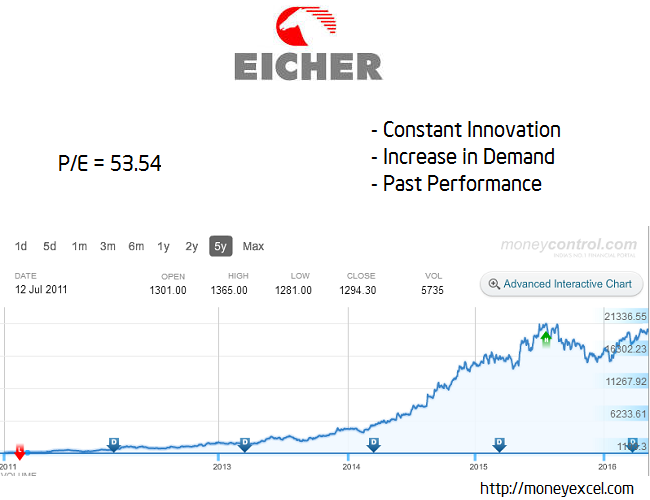 Why Eicher Motors is good for Long Term Investment? Eicher motors is constantly doing new innovation and modifying product as per public demand. Royal Enfield bullet looks attractive and stylish compare to an earlier version. This has caused an increase in product demand. As discussed earlier Eicher motors is consistent performer stock. This stock is giving constant good returns and expected to give a better return in future. If we take a look at balance sheet of Eicher motors it is clearly evident that profit and revenue margin of the company is increasing. In last 5 years’ profit and revenue has nearly doubled. The second best stock for long term investment is Aurbindo Pharma. Aurbindo Pharma is leading Indian pharma drug manufacturing company. Aurobindo Pharma has a good presence in the domestic and international market. Why Aurobindo Pharma is good for Long Term Investment? The stock has generated magnificent returns for the investors in past few years. This stock was available at just Rs.100 in 2011 and today it is trading at Rs. 815. The stock has increased 715% times since 2011. CAGR of this stock in last five years is 52.1%. 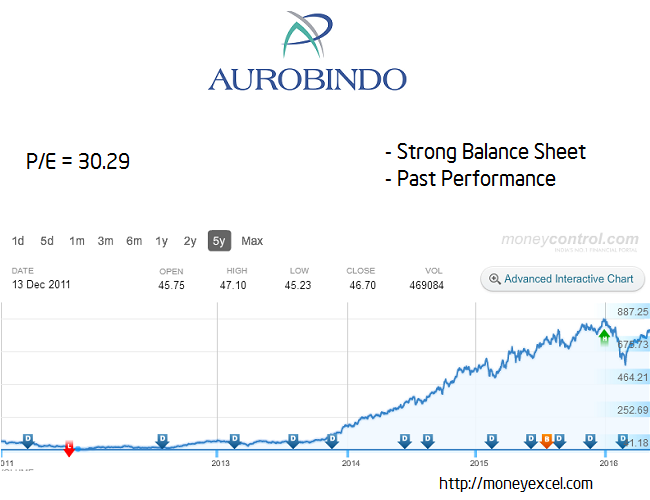 A Balance sheet of Aurobindo Pharma is very strong. The profit margin of a company has tripled and revenue has doubled in past five years. It is good to invest in Aurobindo Pharma for long term perspective. The Company’s robust product portfolio is spread over six major therapeutic/product areas encompassing antibiotics, anti-retrovirals, CVS, CNS, gastroenterological, and anti-allergic, supported by an outstanding R&D set-up. The Company with 27-year experience develops manufactures and markets these products globally, in over 125 countries. Lupin is in third place of best-recommended stock for long term investment. Lupin is leading pharma sector company of India dealing in various types of drugs and pharmaceutical products. Lupin is also one of the favorite stock of Rakesh Jhunjhunwala. 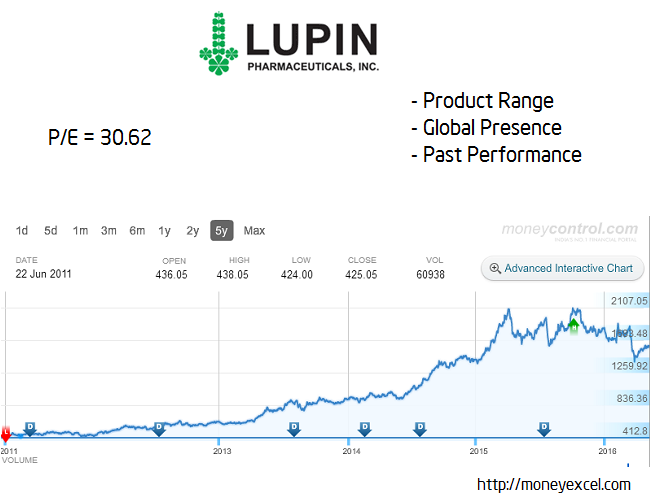 Why Lupin is good for Long Term Investment? Lupin has a global presence and long product pipeline in the US. Lupin spends a lot of money on research and development. They have done a number of acquisitions and expanded product range. Lupin is dealing in a number of monopoly products. The past performance of Lupin stock is very good. This stock has grown by 272% since 2011. The stock price was in the range of 400 in 2011 and today stock is trading at Rs 1600. A high growth rate, debt-free balance sheet, good working capital management and very good control by management are plus points of Lupin. You can invest in Lupin for a long term. The next stock is also for pharmaceutical space – Sun Pharma. Sun Pharma is the manufacturer of drugs for diabetes, cardiology, neurology etc. After the acquisition of Ranbaxy, Sun Pharma has become world’s 5th Largest generic pharmaceutical company. 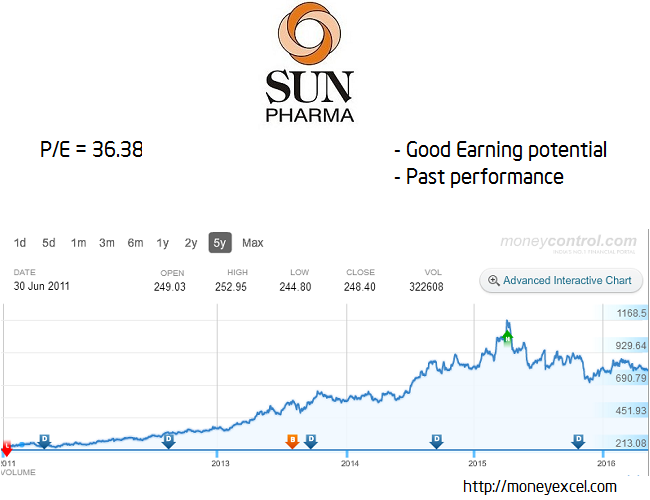 Why Sun Pharma is good for Long Term Investment? Acquisition of Ranbaxy has given a major boost to Sun Pharma. The income level of Sun pharma is likely to see decent growth in future. There is enough upside for revenue and profitability front. Past performance of this stock is very good. This stock was available at Rs 200 in 2011 and today it is trading at Rs.800. In last five years stock has grown by 260%. It is recommended to invest in this stock for long term. Diversification always helps the investor in mitigating risk. Keeping this thought in mind next stock pick for long term investment is from banking sector – Indusind Bank. Indusind Bank is one of the leading private sector bank of India. 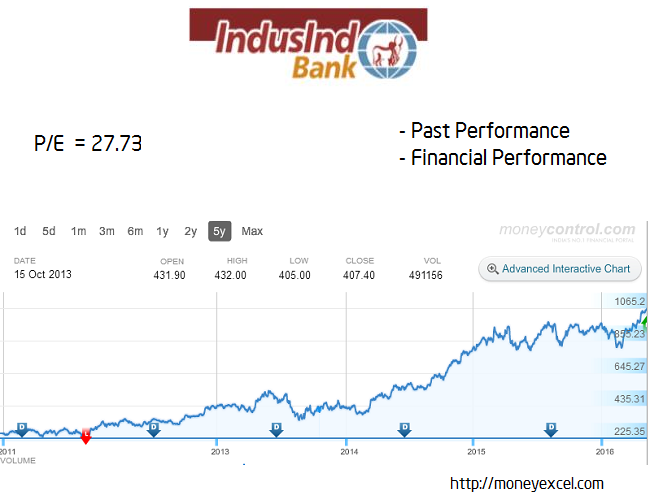 Why Indusind Bank is good for long term Investment? Past performance of the Indusind Bank is very good. This stock has given magnificent returns to the investor. The stock was trading at Rs 275 in 2011 and today it is available at Rs 980. In last five years stock has increased by 250%. Financial performance of Indusind Bank is extremely good. Net profit has tripled in last 5 years. EPS of share is growing constantly. The return on equity is maintained. These positive factors attract an investor to invest in this stock. You can invest in Indusind Bank for a long term. HCL Tech is one of the leading IT service provider company in India. HCL Tech deals in IT Infrastructure management, application development, BPO, and technology distribution. Why should you Invest in HCL Tech? HCL Tech is continuously generating positive returns for the investor. HCL Tech was available at Rs. 270 in 2011 and today it is trading at Rs 710. In past five years, this stock has increased by 200%. 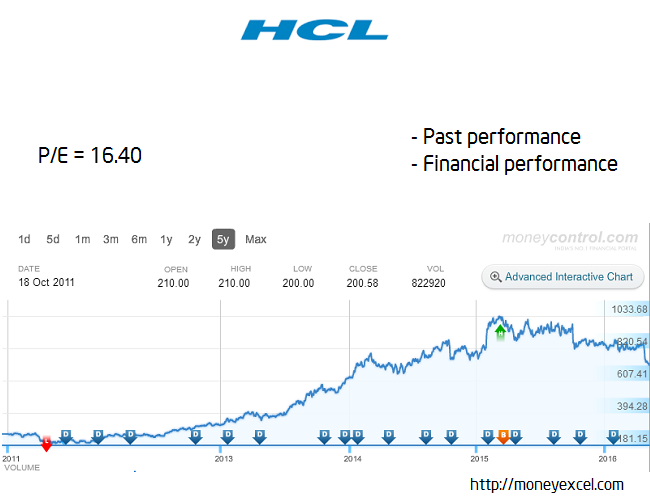 Financial performance of HCL Tech is improving. Revenue of company has doubled and profit margin has tripled in past 3-4 years. Return on equity of HCL is also very good. You can invest in HCL for long -term (5 years). Asian paints is next stock in the list. Asian Paints deals in wide range of paints, varnishes and synthetic resins. The company also produce special type of chemical and latex products. Asian paints is holding a major share in the domestic color market. 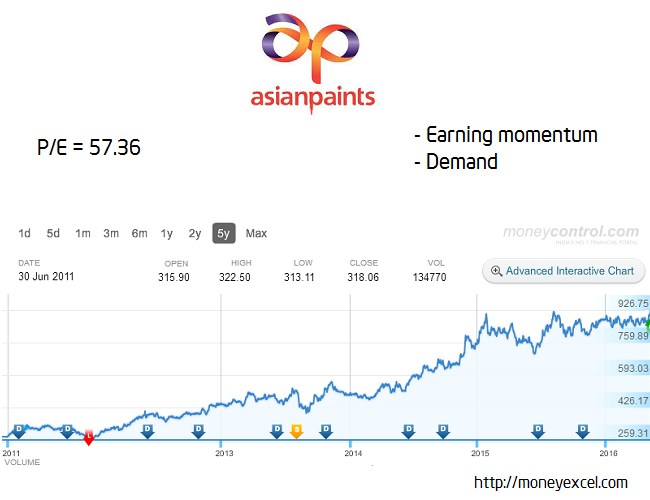 Why invest in Asian paints for a Long term? This stock will get benefited from upcoming infrastructure boom and smart city projects. A good monsoon will increase rural incomes, which may push up a sale. This stock is performing extremely well since several years. This stock was available at Rs 250 in 2011 and today you find a stock trading at Rs 975. In a short span of time this stock has enhanced by 220%. UltraTech Cement is next stock pick for the long term investment. UltraTech cement is leading cement manufacturer in India. UltraTech is also one of the largest exporters of cement clinker. It is part of Aditya Birla Group. 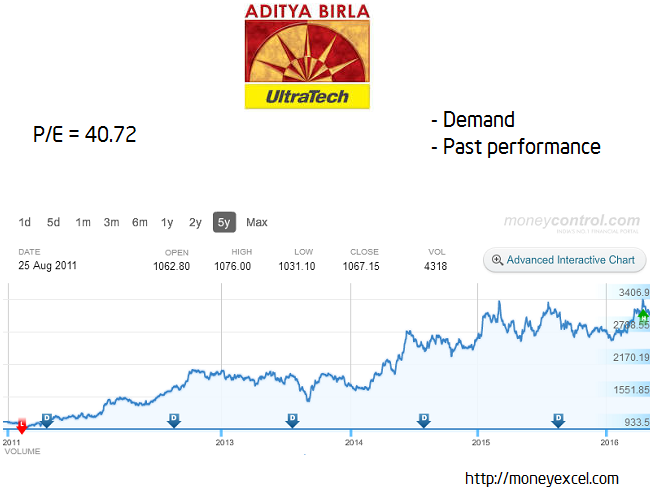 Why invest in UltraTech Cement? The demand of Cement will increase as major infrastructure projects are in the pipeline. Smart city project by the government will also increase demand of cement. Past performance of UltraTech cement is extremely good. This stock was able to generate very good returns for the investor. It is expected that upward momentum in this stock will continue. BPCL is Indian state-controlled oil and gas company. BPCL operates two largest refineries of India. BPCL is in to exploration, production and retailing of petrol and related products. In addition to this, it also offers a range of the automotive engine, gear oil, transmission oil etc. BPCL will be investing Rs 1 trillion for the expansion between 2016 to 2021. The investment is preliminary to increase the refining capacity, expanding city gas distribution. This business expansion will positively impact on revenue of BPCL. Past performance of BPCL is very good. The stock was available at a price of Rs.300 in 2011 and today it is trading at Rs 925. In last five years’ stock has increased by 200%. Hindustan Unilever Limited is leading FMC product company of India. HUL is dealing in personal care products, food, cleaning, beverages etc. HUL is a market leader with good product presence in multiple categories. HUL is continuously performing better since past couple of years. The stock price was Rs 280 in 2011 and today it is available at Rs. 850. In last five years stock has increased by 200%. CAGR return in past 5 year is 24%. 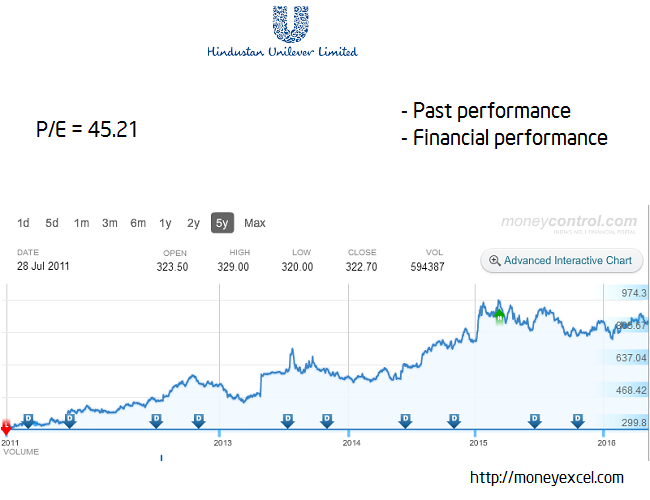 Financial performance of HUL is constantly improving. Profit margin has improved considerably in last five years. Revenue margin of stock has also increased. Did you invest your money in any of the stocks mentioned above? Do you invest in the stock market for the long term? Which are your favorite stocks for long term investment? Do share your views and queries in a comment section. i want to invest about 2 lakhs in stocks for 2-3 years, pls advice which stocks to buy? pls suggest i am keen to invest in pharma for 5-10yrs. Secondly i got allotted adani power in public issue long time back…what to do with it? You can invest your money in Lupin and Arbindo Pharma. Can I foresee good returns in 5 years if I invest in HUL and Bharat Petroleum at current prices? As per me HUL can give you good return.However, bharat petroleum is not good to buy at current levels. I am long term investor. i have HCL since public issue. i have HUL since 2005. I have SUN PHARMA from 2006. I have LUPIN from its recent fall. My wife holds ULTRATECH. Besides these I have invested in godrej consumer,gruh finance,I have HDFC bank.These have been good investments.Please add me to your blog.